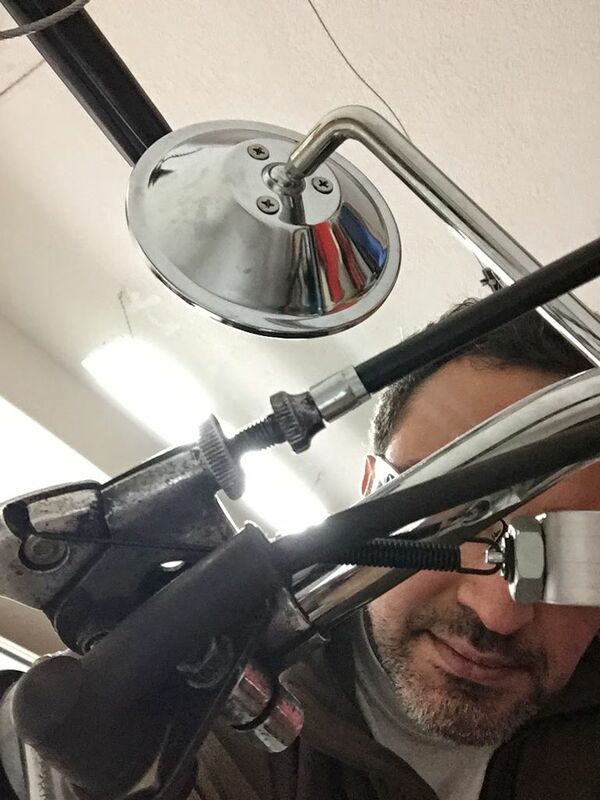 This is my take on solving the front brake switch problem on front drum brake Loops. I purchased a universal car brake switch, built a simple bracket using anodized aluminum scrap and connected the spring to the lever. Instead of trying to hide it, I choose to just lay it bare, a functional/industrial look. 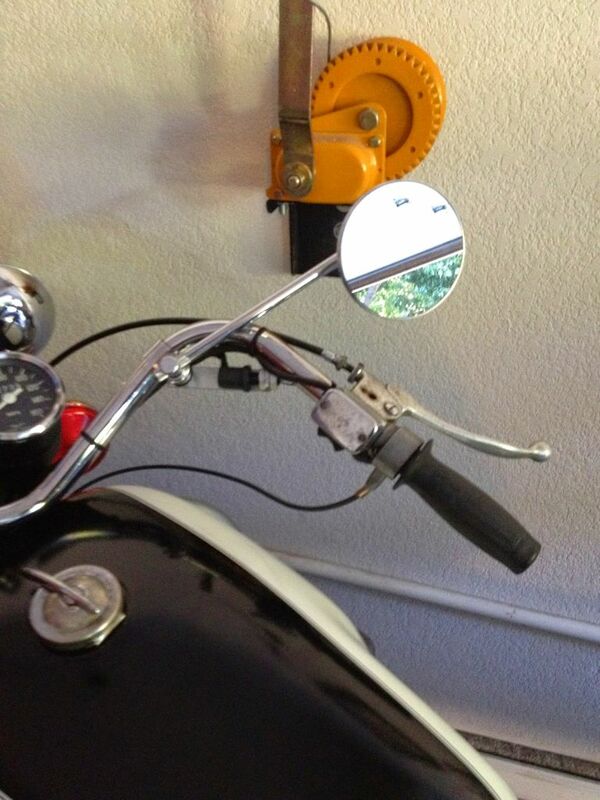 The bracket was bent 90 degree to receive the switch and then bolted on the mirror clamp. I rekon you could also reverse it and attach the braket to the level itself, effectively hiding the switch behind the handlebar while you ride but again, I did not mind the look so I did not even bothered. Cost? about USD $20.00 total. 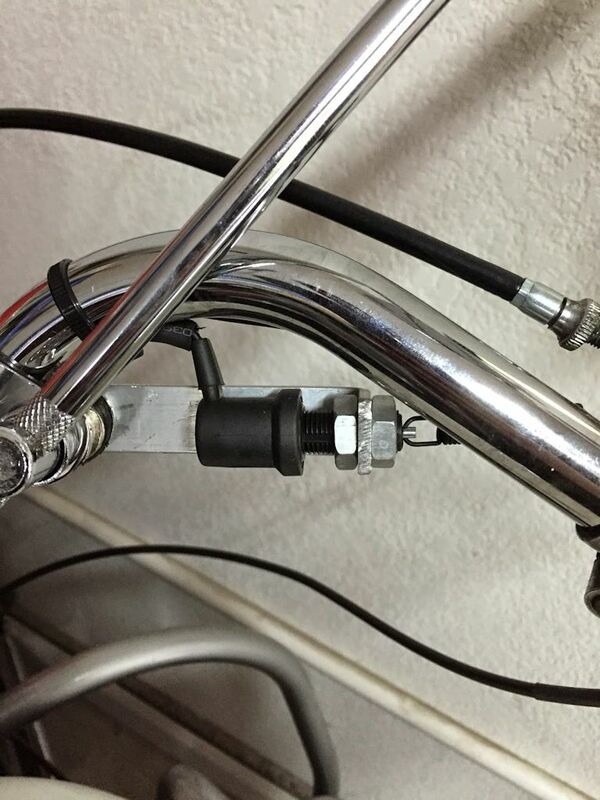 An alternative front brake light switch for drum brake Moto Guzzi V700, V7 Special, Ambassador, 850 GT, 850 GT California, Eldorado, and 850 California Police motorcycles. Photo courtesy of Andrea Mariotti.